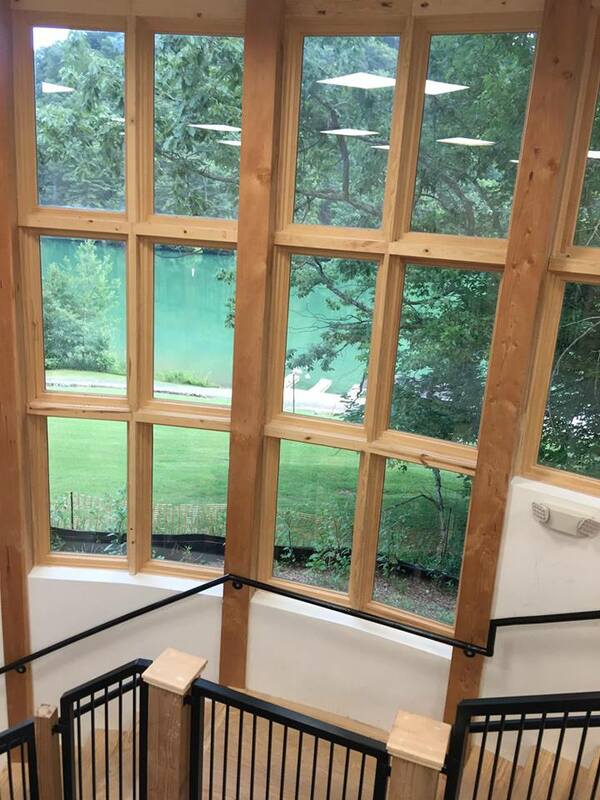 Visible progress is now underway in the Nature Center Expansion. 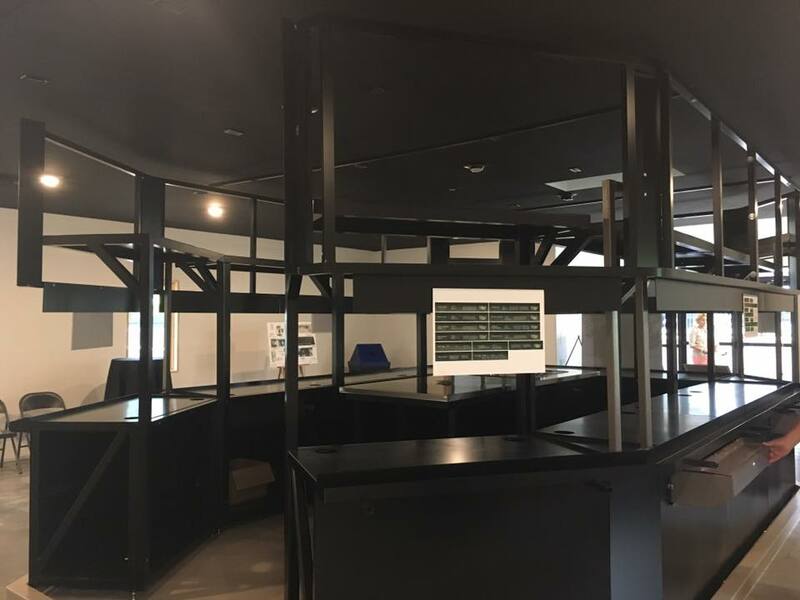 The massive metal structure that will house the aquatic species display in the main upstairs gallery is now in place. Within a week, we anticipate that all of the aquariums will be installed, and their interior decorations complete. From this point forward, things will be happening quickly as the pedestals and backdrops for the two large dioramas will be installed next. Once that work is done, the dioramas themselves can be constructed – one featuring the terrestrial creatures that call Steele Creek Park home, the other displaying the wide variety birds that can be found in the Park. 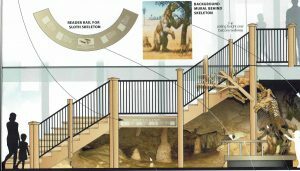 Meanwhile, off-site work has already begun to create the fabulous crawl through cave that will fill the space below the stairway overlooking the lake. 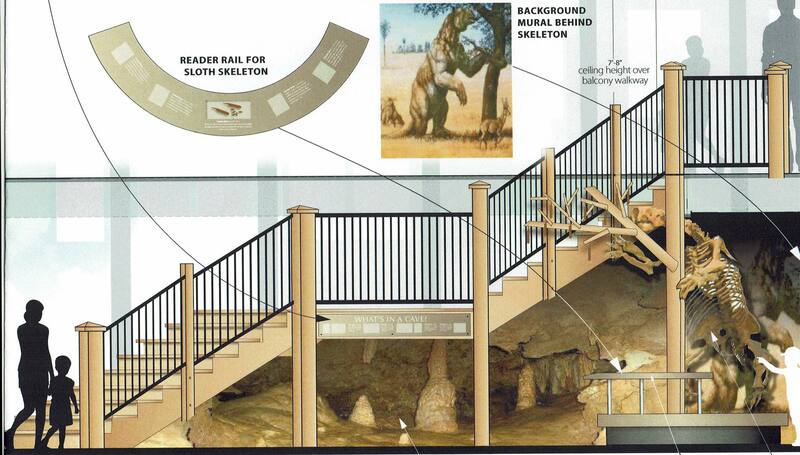 Once installed, the cave will feature structures that are typically found in the caves of our region. 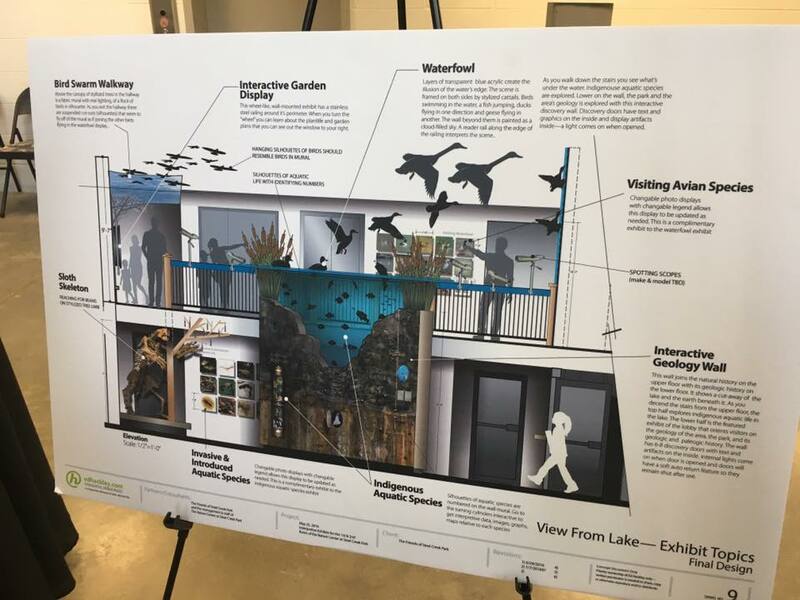 One of the last exhibits to be installed before the opening in October is the waterfowl exhibit. 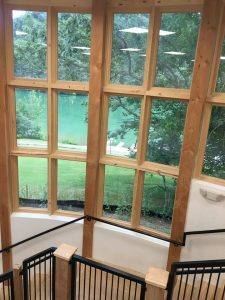 An acrylic lake displaying taxidermy ducks and fish, with specimens of ducks and geese in flight overhead against a mural of billowing clouds, will mirror the view of the actual lake and knobs from the spectacular windows across the gallery. 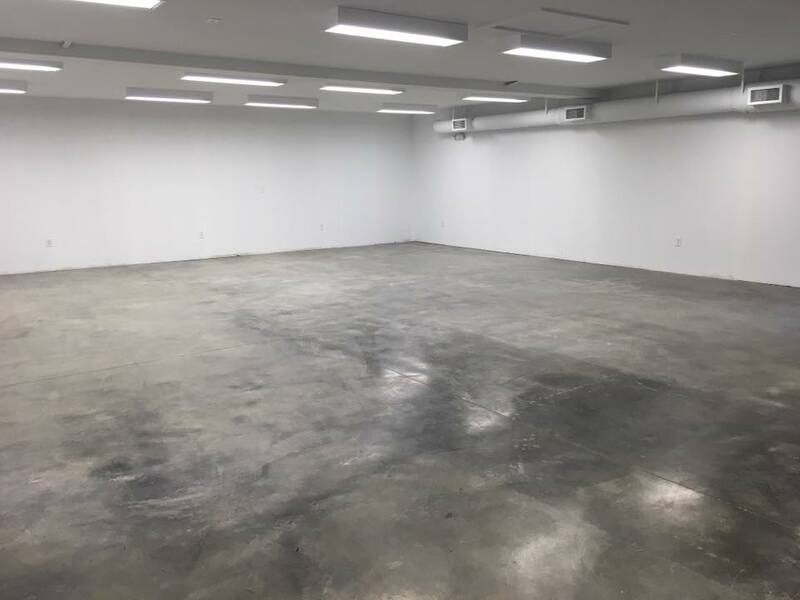 While all of these exhibits are being created and installed, the 1.200 square foot DeFriece-Wilson Classroom will be completed and fully equipped for use beginning in October when the building officially opens. There’s plenty to be done before October, but that’s only the beginning. 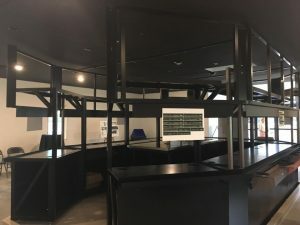 As funds become available, many more displays and interactive exhibits are on the drawing board. 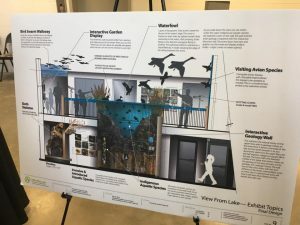 If you want to help make these future exhibits become a reality, check our expansion donation page and give or pledge today!